Updated for iPhone 6 and 6 plus sizes. 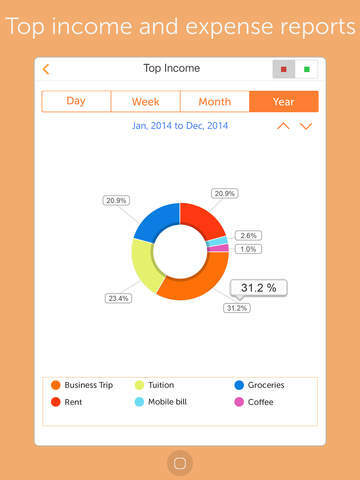 The Easy Spending expense tracker is the most simple and convenient to use expense tracker on the go for iPhone and iPad, that neatly tracks all your cash flow between different accounts that you can manage. Comes with easy gestures and cool animations with convenient layout and fonts that look and feel like a spacious app, even on your iPhone. It comes with large fonts, well spaced layouts for easy viewing and readability. You can quickly add an expense even while checking out at the grocery store or while at the gas station. Great for maintaining monthly recurring bills with reminders, it has the convenience of an Expense Tracker and BILL reminders at one place. It reminds you of all your due bills, so that it can save you a dime from late fees or dues. 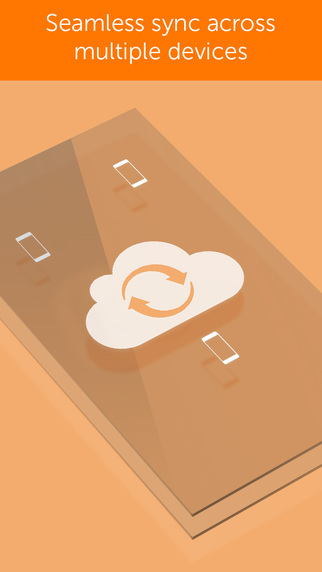 @ Excellent cloud sync of all your transaction data. $ Clean user interface with great usability. $ Bold readable fonts on all screens. $ Add a new Income/Expense in seconds. $ Quick view of Recent Transactions and Top Income/Expense categories. 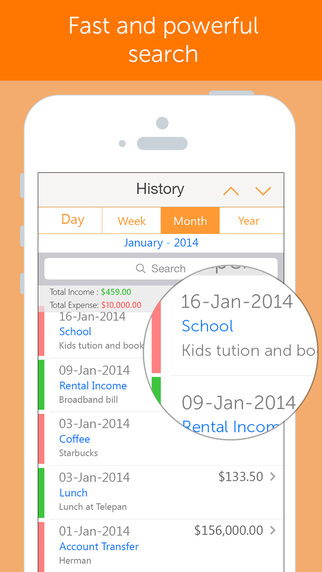 $ NOTIFICATIONS added to Default calendar for recurring transactions as an option. Using this option, NEVER forget to pay your BILL(S) on time. $ Excellent and seamless cloud sync of all of your transaction data. 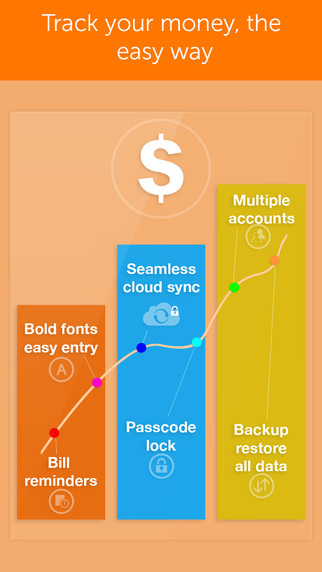 $ You can sync with all devices used by you and your family, to view all accounts simultaneously. $ Email csv file of all your data for single or all of your accounts. @ I use this app every single day and is by the the most valuable app on my iPhone 5s. My expenses are kept up-to-date and I can calculate my available funds even before they have cleared my account which makes it so much easier. Love this app, you deserve an award and way more recognition for this app. This just the app I needed, I love it, it’s easy to use. All the others I have tried didn’t have or was able to record my money like this one. @ Got the lite version and decided to pay for the full version after checking out the specs. 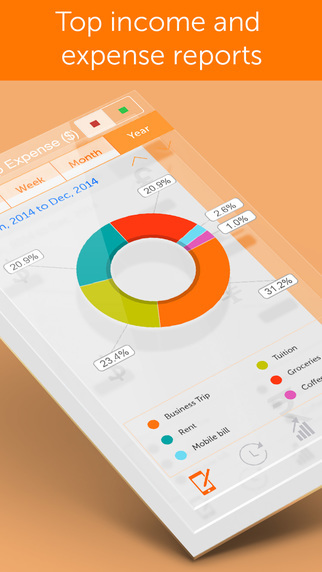 Awesome for tracking expenses. Very simple to use and very customizable. Simply AWESOME!!! More exciting new features coming up.